You will find below the details of the closed Open Call. The ORCA project hereby announces its second Open Call for Experiments. 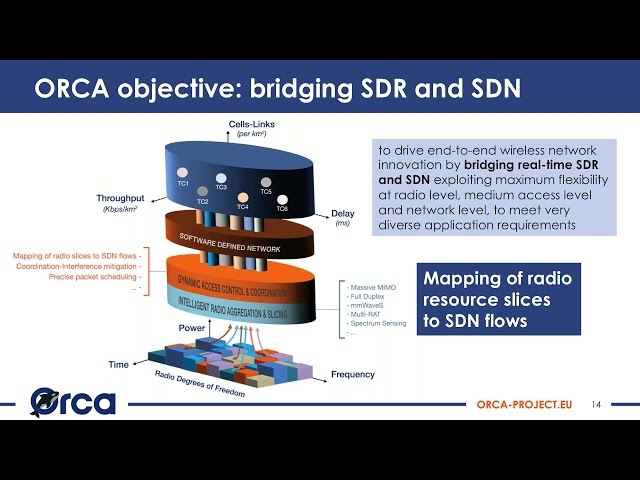 This call solicits for Experiments for rapid validation of innovative software defined radio (SDR) solutions using the facilities, SDR hardware platforms and software toolsets supported by the ORCA Consortium. You can find more information about the ORCA testbeds here. You can find more information about the ORCA Showcases & Functionalities here. A technical feasibility and relevance check is required before submission. This feasibility and relevance check will be carried out by the ORCA members responsible for the facilities, radio hardware platforms, and software platforms involved. , in case support is required for selecting an appropriate partner. The proposing party must submit its draft proposal to the Patron by Sunday the 25th of November 2018, at 17:00 Brussels local time using the submission portal. In this draft proposal at least sections A, B and C needs to be fully completed. The feedback will be provided by the Patron at the latest by Wednesday the 28th of November 2018 at 17:00, and must be copied into section D of the proposal template. Proposers must be eligible for funding in H2020 projects. Proposals will only be accepted from a single party. Parties that having been selected in previous ORCA Open Calls are not eligible to participate again. A proposer can only be selected for funding for one proposal, even if the proposer submitted multiple proposals that are ranked high enough to be selected for funding. In the latter case, the proposer may be given the opportunity to choose the one to be retained for funding. Going beyond 6 page limit is strongly not encouraged, the external evaluator is not obligated to read the extra pages. However the ORCA consortium will not disqualify the proposal if this rule is violated. Proposals (draft as well as final proposals) must be submitted through the online submission form at the bottom of this page. YES - I allow that the material provided in Sections A, C, D and F of this proposal may be accessed by the ORCA consortium, also if the proposal is not selected for funding. In any case, the ORCA consortium will treat all this information confidentially. It will be used within the ORCA project as input for tasks related to testbed and software platform optimizations, sustainability studies, etc. The same information can also be used in an anonymous way to create statistics and reports about this first open call. Furthermore, I allow that the other parts of this proposal may be accessed by the ORCA consortium, also if the proposal is not selected for funding. In any case, the ORCA consortium will treat all information of this proposal confidentially. Any use of this information will be discussed and agreed upon with the proposers. YES - I have read the agreement document (Annex B) and I agree with the terms and conditions for subcontractors.